Check it out! 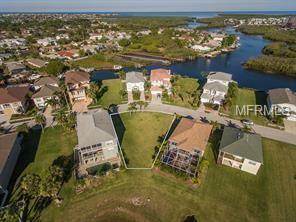 Gorgeous, build ready lot in Sea Colony, a small community of newer construction homes in the waterfront community of Gulf Harbors. This .16 acre lot is perfectly situated to maximize privacy and views. Pictured here is a house plan by Renaissant Builders, a local builder with ample experience in waterfront construction in Sea Colony. 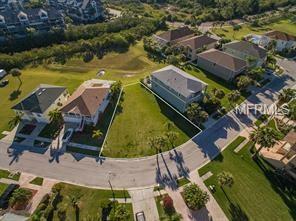 Here's your chance to build your dream home in a waterfront community with all the amenities. You can build the home of your dreams at your convenience, there are no pre-set dates for construction. Excellent boating water with Gulf Access - great for fishing or sail boats as well as kayaks, canoes, paddleboards! 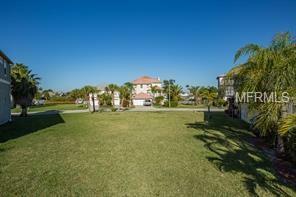 This community offer a private boat ramp, making it easy to launch your vessel at your convenience. Residents enjoy membership in Gulf Landings, a homeowners association offering tennis, pool, boat ramps and beautiful recreation facilities, all included in the affordable HOA fee of just $53.00 a month. Membership to the exclusive, private Gulf Harbors Beach Club is also included at just $144.00 year.